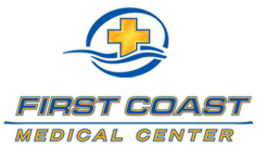 Your protected health information will be used by First Coast Medical Center or disclosed to others for the purposes of treatment, obtaining payment or supporting the day-to-day health care operations of the practice. You should review the Notice of Privacy Practices for more complete description of how your protected health information may be used or disclosed. You may review the notice prior to signing this consent. You may request a restriction on the use or disclosure of your protected health information. First Coast Medical Center may or may not agree to restrict the use or disclosure of your protected health information. If First Coast Medical Center Agrees to your request, the restriction will be binding on the practice. Use or disclosure of protected information in violation of an agreed upon restriction will be a violation of the federal privacy standards. You may revoke this consent to the use and disclosure of your protected health information. You must revoke this consent in writing. Any use or disclosure that has already occurred prior to the date on which your revocation of consent is received will not be affected. First Coast Medical Center reserves the rights to modify the privacy practices outlined in this notice. and disclose my health information in accordance with it.